What Is the Definition of Masseria Lodging? What Is Masseria Lodging in Italy? For tourists wanting to break away from usual accommodations while on vacation, bed and breakfasts and country inns are a natural go-to. If you are traveling to Italy, particularly the Puglia region, you might come across the term "masseria" or its plural, masserie, which is another way of saying a quaint accommodation at one of the historically restored farmhouses dotting the Puglia region. Many masserie are bed and breakfasts now. A masseria is a fortified farmhouse or country house on a country estate usually found in the Italian region of Puglia. 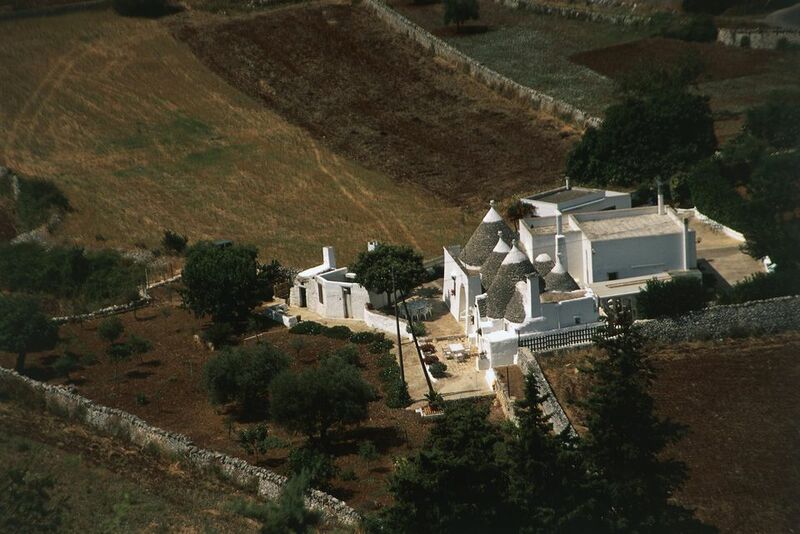 A masseria is similar to a hacienda in Spain or a plantation in the United States. The masseria was like a rather large farm complex, where the land barons stored their food and possessions from the 16th to 18th centuries in Italy. The masserie was once the heart of vast land estates, surrounded by rolling fields, groves and pasturelands, inhabited in the summer months by the landowners and the peasant farm workers who tended to crops and the farm animals. The complex usually included several other specialty buildings to house animals, to store crops, or to make wine or cheese. Some masseria developed into essentially small villages surrounded and protected high walls with a central courtyard surrounded by all the other structures. The masserie were fortified to protect against attacks by Turks or pirates. The word "masseria" comes from the Italian word masserizie, which means household furnishings, food stores or belongings. The architecture of the masserie are simultaneously austere and luxurious. The simple yet spacious rooms retain their original charm, including stone kitchen fireplaces, churchlike arched hallways, and restored marble floors. The rustic reds, golden yellows, and cornflower blues of classic Italy pop when set against the stark white backdrops of medieval stucco and stone. In the 1990s there was a trend to restore the crumbling masseria back to farmhouses and convert them into bed and breakfasts, boutique hotels, rentals or restaurants to accommodate tourists. Masseria lodging range from rustic to luxurious. Most of the masserie have a swimming pool and garden. Some masserie have a restaurant serving typical dishes of Puglia and a few have cooking classes for guests. Other luxury amenities can include full spa services, golfing, and beach clubs. Most are set in working farms that produce olive oil, wine, or produce. You can find most masserie in scenic, countryside settings. Also, many masserie can be found near the coast between Bari and Brindisi. This area is sometimes referred to as the "Masseria Coast." This is a good location to visit beaches, the Trulli of Alberbello, other scenic towns, and the large archeological site of Egnazia. Masserie is located on the Salento Peninsula (a good location for beaches), the seaside towns of Gallipoli and Otranto, and the Baroque city of Lecce. Take a look at the Puglia map to plan out your trip, and research more about your options for masseria lodging in Puglia.